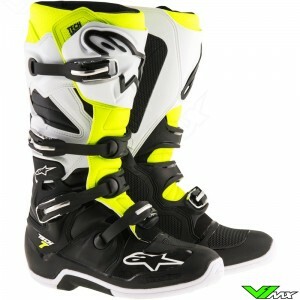 The Alpinestars Tech 7 are lichtweight motocross boots that offer great riding characteristics. The Tech 7 also offers excellent ankle protection and promotes stabilty and flexiblity. Check out the current range of colors below. In the design of the Tech 7 are many features of the top model, the Tech 10. 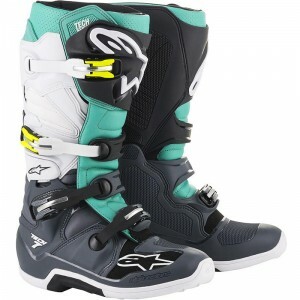 Components such as the sliding blades and buckles are used to create these advanced motocross boots. 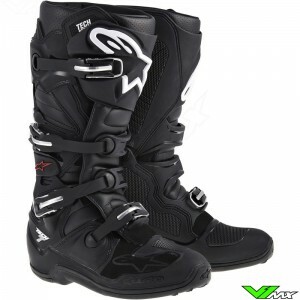 The Tech 7 is best known among motocross riders for its low weight and comfortable fit. But it also belongs to the top in terms of protection. 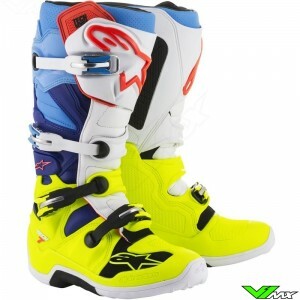 This makes it the ideal motocross boot for both hobby and professional riders. 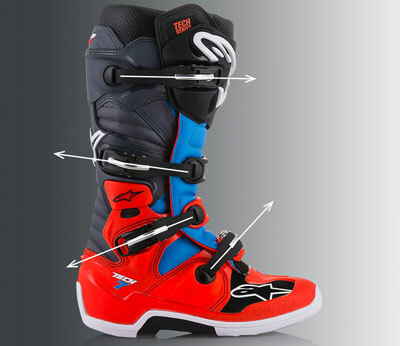 Below, three innovative protection features of these Alpinestars motocross boots are further explained. The Tech 7 has a hinge system on the bike side of the boot. The hinge system increase the freedom of movement of the rider. The back is equipped with a sliding blade system. This protects the rider by preventing damaging bending of the lower leg and ankle. 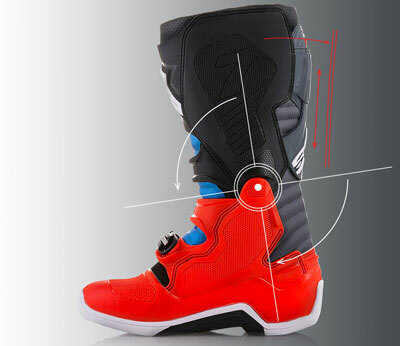 The two systems work together to provide a perfect combination of flexibility an protection to the motocross rider. A good fit is important to provide optimal protection. The Tech 7 is equipped with 4 buckles which are placed in strategic places. 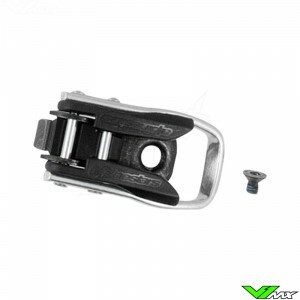 The buckles have been developed in such a way that the last used position is retained. This means you only have to adjust the buckles once, offering you a constant fit every ride. The aluminium buckles are easy to operate thanks to the self-aligning design. On the outside an unique biomechanical system is integrated in the boot, which offers the rider maximum freedom of movement. It allows a limited movement which is key to controlling a dirt bike. 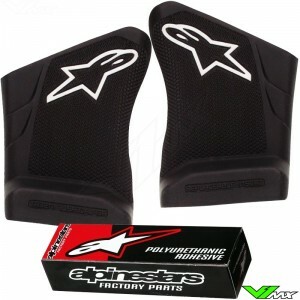 With more than 50 years of experience and some of the best engineers, Alpinestars is an expert in creating flex zones. 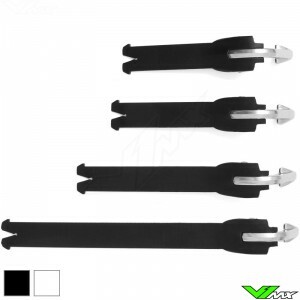 These are important for motocross riders to maintain freedom of movement on a dirt bike. The Tech 7 is full of small details that make life easier for a motocross rider. An example of this is the low toe profile with a grip pattern. 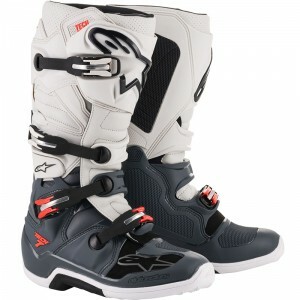 The motocross boots offer the rider maximum control over the shift pedal by keeping the toe area low. It also offers good protection against impacts due to the TPU protection plates on the shin, ankle and medial side. The medial side, the side which touches the dirt bike, has a honeycomb structure for extra grip against the dirtbike. The durability of the Tech 7 is excellent, but worn out soles are inevitable after many rides. 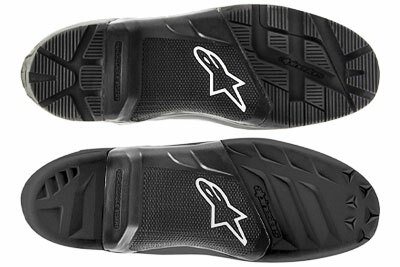 Alpinestars has developed special sole inserts. You can easily order the Tech 7 sole in the webshop and install it yourself. The glue and instruction are supplied with the sole inserts. Buckles and straps are also replaceable. V1mx usually has these items available from stock so you can quickly use the boots again. 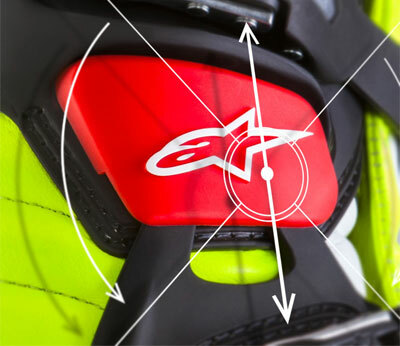 For enduro riders, Alpinestars has developed a version with a special sole. This sole has deep groves to provides extra grip in harsh conditions. The Tech 7 enduro has the same sole inserts as the standard version. The quality of the Tech 7 is not only available for adults. For children Alpinestars has developed a special version which is designed for the body sizes of young riders. The Tech 7s can be viewed and ordered in the kids motocross boots department of the webshop. The Alpinestars Tech 7 is available in more than 10 color combinations, so you can always find a design that fits with your motocross gear. 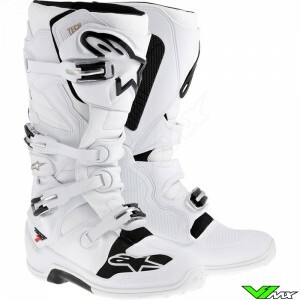 V1mx regularly has clearance available on Alpinestars motocross boots, this allows you to get top quality boots for a great price. 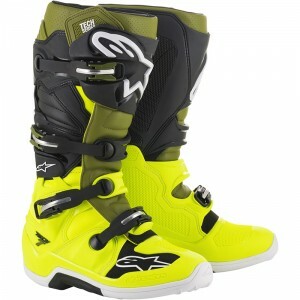 In addition, Alpinestars sometimes introduces unique limited edition versions. These are produced in limited quantities. Do you want to be informed on new versions and offers? Follow V1mx on social media and be the first to know! 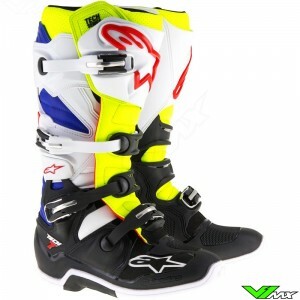 Do you have questions about these Alpinestars motocross boots? Please don’t hesitate to contact us. 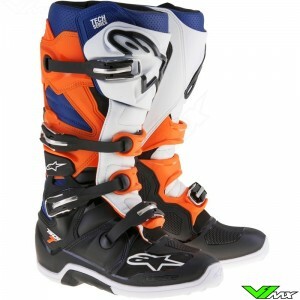 V1mx is an official Alpinestars dealer and has the full range of offroad boots available. The sizes of the Tech 7 run from 38 to 52. The fit runs true to the normal shoe size. In case of a half a size difference, we advise you to take the larger size. If the boots do not fit you can easily return or exchange them at V1mx with the returnform. Exchanging and returning products is possible when items are in unused condition and within a period of 30 days, so you have enough time to decide.